Supreme Court nominee Brett Kavanaugh says he’ll act like a baseball umpire, making calls based on rules. That’s a bit facile. Recent research suggests, though, that jurists are mostly objective, while differing in interpreting laws. Congress and the public may never believe it. 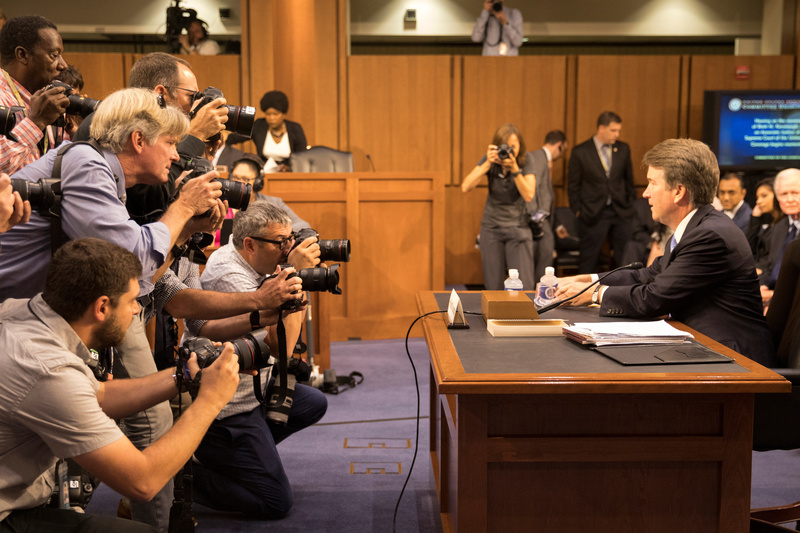 Supreme Court nominee Brett Kavanaugh prepares to testify during the third day of his confirmation hearing before the Senate Judiciary Committee on Capitol Hill in Washington, U.S., September 6, 2018. Hearings in the U.S. Senate to confirm Brett Kavanaugh as a U.S. Supreme Court justice began on Sept. 4.